Greg Lane – CPA, CFP®, RIA, CHRS®. 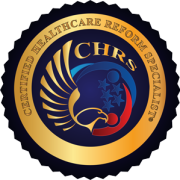 Greg is a Certified Public Accountant, Certified Financial Planner™ professional, Registered Investment Adviser and Certified Health Care Reform Specialist. He earned his Master’s Degree in Accountancy (with a Taxation emphasis) from Arizona State University. Greg’s role at WellFit Financial includes analysis, financial planning, asset management and investment planning, tax strategies, insurance and education planning, financial education including live webcasting, second opinions, brokerage and professional network relationships. His other qualifications include Professionally Qualified faculty status from the Association to Advance Collegiate Schools of Business, host and moderator of Thompson Reuters/Bisk Education’s monthly live financial planning webcasts for CPAs and financial planner nationwide, Competent Communicator designation from Toastmasters International. 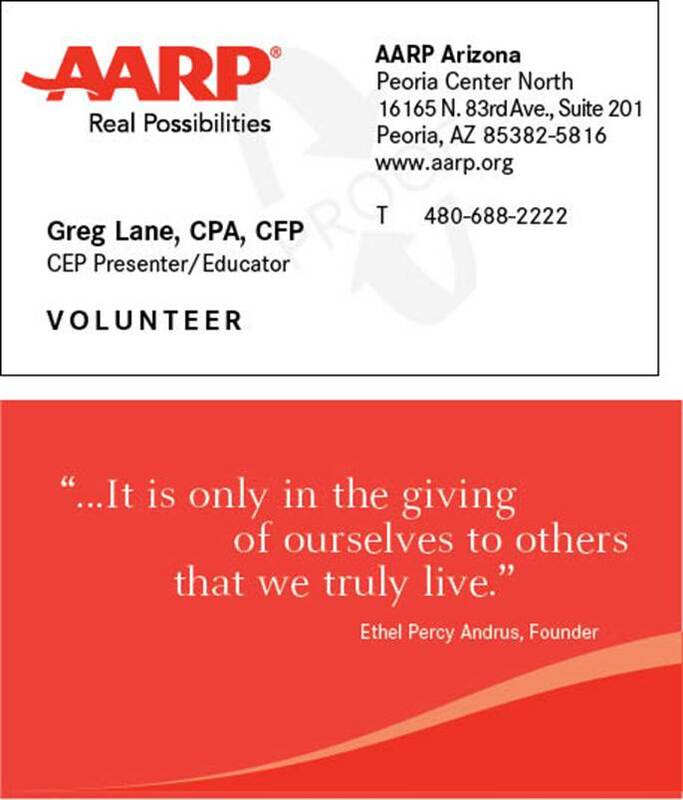 Greg is a Community Education Program volunteer for AARP’s Medicare, Social Security, Affordable Care Act and Identity Theft programs in Arizona. Lisa Lane – CSA, RDN, CCWS®. Lisa is a Certified Senior Advisor accredited by the Society of Certified Senior Advisors, Registered Dietitian Nutritionist as designated by the Academy of Nutrition and Dietetics and also a Certified Corporate Wellness Specialist. She has completed the Financial Planner Professional Education Program through the College for Financial Planning (Denver, Colorado). With Greg’s oversight, Lisa’s role at WellFit Financial includes preparation of required forms and other documents for our clients’ accounts and transactions, assisting clients with accessing and using websites to review their accounts, producing reports, evaluating mutual funds and Exchange Traded Funds for possible inclusion in clients’ portfolios, executing buys and sells for clients’ accounts, involvement in and contributions to client contact as well as other services. Like Greg, Lisa is a Community Education Program volunteer for AARP’s Medicare, Social Security, Affordable Care Act and Identity Theft programs in Arizona. “I just finished your book, “21 Days to Wealth, Well-Being, and Abundance NOW!” I enjoyed it. I am thinking of getting two of our sons the book, especially the newly divorced son. Lots of good information for him. I have always liked to keep track of spending and budgeting, money in and money out but it doesn’t work unless both of us do it. We do set aside for emergencies. I am a big believer in insurance and I think we have convinced the boys also when they were going out on their own how important it is. They are all the age to save for retirement if they haven’t started. Well living, diet and exercise is important to me also. I am glad I already have Long-Term Care (Insurance), per your suggestion. One item I did not know is “the community property” in some states, Arizona being one of them. The idea we are both responsible but will be liable for all debts incurred during the marriage was something I didn’t know. I am going to look for more information on subject, just for my knowledge. A good topic to talk about at a gathering where we discuss many different subjects. I also think the “establish your own credit” is important. I have done that and think it is important for everyone to have their own credit. It is so important for both partners to be aware of all the subjects you discussed in the book. I highly recommend both read the book so they can discuss what is important to them. This will help to prioritize what we have done and still need to do. “I just finished reading “21 Days to Wealth, Well-Being, and Abundance Now!” What a great read! It is so logical to combine financial security and good health. Yet, I haven’t seen it done by others. The flow was smooth and an easy read. I thought Chapter 6 dealing with long term care insurance was especially important. It seems that LTC insurance is not talked about much, at least in my social circles. I don’t think it is very well understood. Chapter 6 helps to clear the air about LTC insurance. Including references and web sites for further information is helpful. Chapter 11 about Social Security is also very important. People should start thinking and planning about Social Security years before retirement age. I know I should have paid more attention long before I was ready to retire. Speaking engagements and local training events: see Speaking Engagements page.